The cars match the Division Point F’s and the Overland E’s perfectly. There are a few minor changes pending. We expect delivery in September. Very few sets remain available. 1949 Kansas City Southern Southern Belle Update! The handmade samples arrived this week and they are spectacular. We will post some photos this weekend. 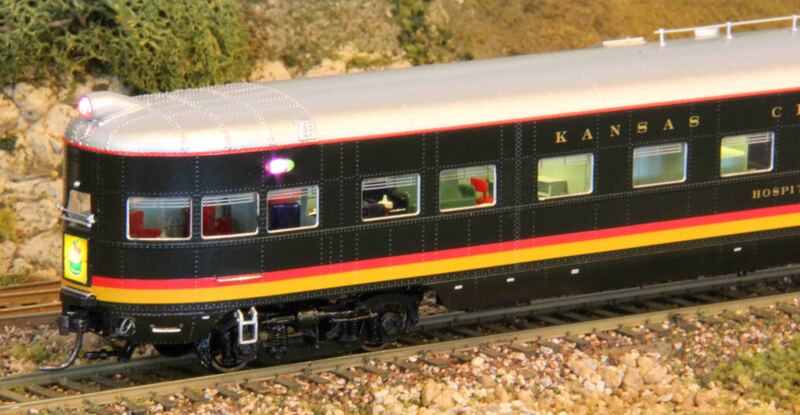 Single cars are sold out and there are only a few sets remaining. If you think you might want one of these sets get it ordered asap.